But does it come with music? For those waiting eagerly for Nokia’s ‘Comes With Music’ service, the good news is that the mighty Sony BMG has thrown its lot in with the Finnish phone manufacturer. Although the service is yet to launch, there is plenty of anticipation over the all-you-can-eat subscription service that gives you a year of free music and then allows you to keep the tracks (still DRM’ed) at the end of the period – when you buy a handset of course. Any music service lives or dies by the quality and breadth of its content – and the decision of Sony BMG to get involved brings one of the biggest production companies into the mix. "As one of the leading major music companies in the world, our collaboration with Sony BMG means we can offer a huge range of fantastic music from both international and local artists via Comes With Music," said Tero Ojanperä, executive vice president and head of the Nokia Entertainment and Communities business. "It's great to have them on board as we move forward with bringing our unlimited music bundle to the market." 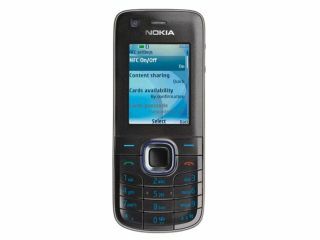 Currently to transfer the files once your year is up you’ll need a new handset or subscription – tying you neatly to the Nokia network. But we all surely understand by now that there’s no such thing as a free launch?